How do fashion blogger dress everyday? I have been blogging for almost seven years now and I can proudly say I have always been myself. Of course, I tried to bring appropriate clothes for my holidays in South Tyrol, and especially for daytime I chose something easy and comfortable. Embedding some trendy detail in my everyday casual looks was pretty easy: fringed hem or patched jeans, jeans with pearls decor, cool metallic sneakers, lace or graphic tees and here we are! There is no need to try too hard, right? Enjoy your weekend, I will sure do it after a hard, intense study period! 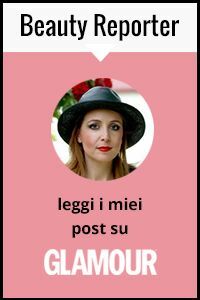 Come si vestono le fashion bogger ogni giorno? Ho il blog da quasi sette anni e posso dire con orgoglio di essere stata sempre fedele a me stessa. Ovviamente, ho cercato di portare un abbigliamento adatto alle mie vacanze in Sud Tirolo, e specialmente per il giorno ho scelto qualcosa di easy e comodo. Incorporare qualche dettaglio di tendenza nei miei look casual per ogni giorno è stato facile: jeans dal bordo sfrangiato o con toppe, jeans con applicazioni di perle, sneakers con effetto metallico, magliette in pizzo o grafiche e voilà! Non c'è alcun bisogno di sforzarsi troppo, giusto? Godetevi il weekend, io lo farò di sicuro dopo un lungo periodo di studio intenso! How cool that your exams are near and soon you'll have a well deserved 2nd Uni degree!!? You're such an inspiration my friend in every way. :) I LOVE your outfit with pearl jeans and laced top, you're looking gorgeous! This is the best selection of denim I have seen in one place! Love alll of your looks, and the floral bomber as well. Good idea to watch fashion week from home, it is so much work. Good luck with your studies! You have such great style. I love that you are so bold and playful with colour! I love all these styles! Especially the Blondie tee! Fabulous! Love these street style casual snaps! You do it so well. Molto belli questi look casual, adoro quello con la tee "blondie"!! Congratulazione per gli esami!!! Love all the outfits. Simply amazing. I come to this place every now and then. The event venues are really nice, the crowd is full of regulars, and the food and drink specials are pretty good! The staff is great and really gets to know your name. Totally worth your time on any night for good food and drink.